Did you know one of your eyes is more dominant than the other? It's true! Feeling sleepy? You're not alone. A new Centers for Disease Control and Prevention study finds that more than 40 million American workers get fewer than six hours of sleep per night. That's not good, because the amount of sleep you get each night has a huge impact on your overall health - including the health of your eyes. Apr 2018 - Dr. Sandy T. Feldman discusses springtime allergies. Aired on KUSI TV San Diego. Aug 2017 - "I could see my alarm clock when I first woke up, and I could see across the room," remembers Plumb. "I could see the TV and I could see my kid's faces.". 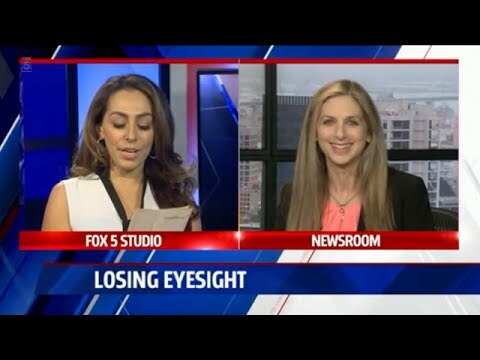 Jul 2017 - Dr. Sandy T. Feldman on Fox 5 San Diego discussing the SMILE laser vision correction procedure. Apr 2017 - Cataracts affect nearly 25 million people over 40. Now a cutting-edge lens is making all the difference. Feb 1st 2016 - Delicious smoothies are not only good for your waistline, but can also help ward off eye disease. 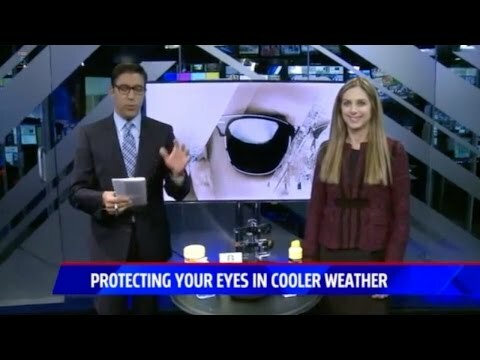 Nov 2015 - Dr. Sandy T. Feldman talks to Fox 5 San Diego about how to protect your eyes during the dry and cold winter season. July 28th 2015 - Choosing stylish sunglasses that also protect your eyes. 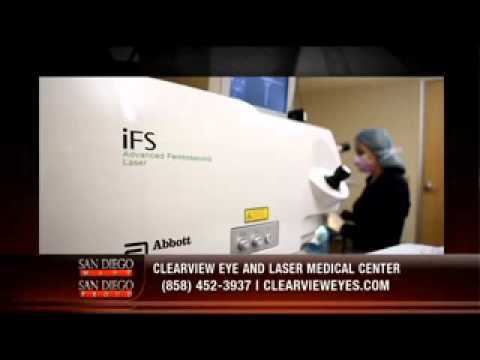 May 24 2015 - San Diego's leading LASIK surgeon Dr. Sandy T. Feldman discusses the iDesign LASIK technology. May 2015 - Supplements might actually do more harm than good, especially when it comes to your eyes. Dr. Sandy T. Feldman talks about the dangerous effects of supplement use and eye health. Apr 2015 - Eye diseases and aging can cause vision loss. Learn more about these problems and how often your vision should be tested. 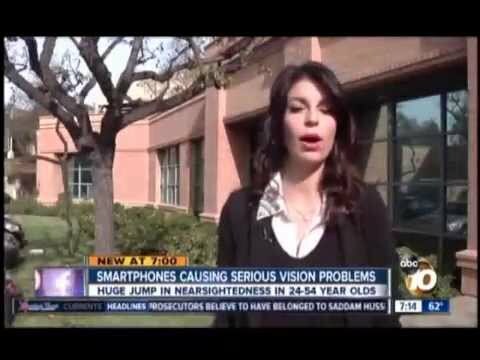 Feb 2015 - San Diego's top LASIK surgeon Dr. Sandy T. Feldman was on KGTV discussing smartphones screens and the vision problems that they can cause. Feb 21 2015 - Dr. Sandy T. Feldman, a renowned San Diego Ophthalmologist , corneal expert & Medical Director of Clearview Eye & Laser Medical Center in San Diego, California again joins eHealth Radio and the Eye Health Channel. Jan 2015 - Dr. Feldman was on UT TV with Taylor Baldwin of Taylow Time discussing prevention of "Surfer's Eye." Dec 2014 - Dr. Sandy T. Feldman of Clearview Eye and Laser Medical Center joins us with helpful ways to have stronger vision in 2015. 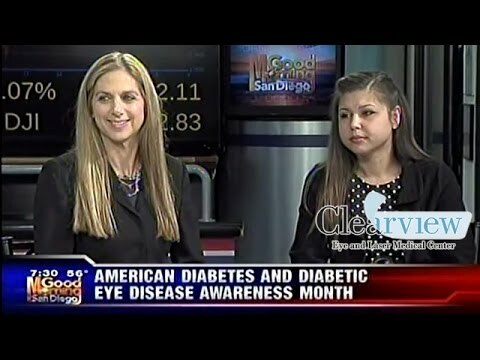 November 26th 2014 - Dr. Sandy T. Feldman discusses eye safety specifically for diabetics on KUSI TV San Diego. November is Diabetes Awareness Month. October 2014 - Dr. Sandy T. Feldman on Taylor Time discussing safety tips for Halloween. 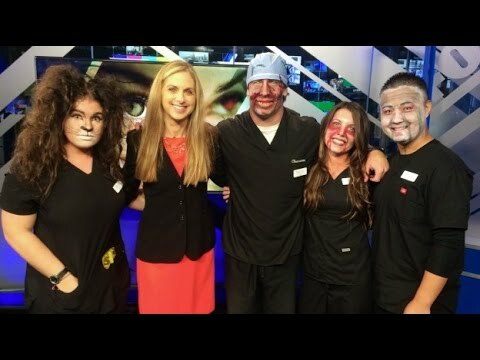 October 14th 2014 - Dr. Sandy T. Feldman & and the Clearview team appeared on FOX 5 San Diego to promote eye safety this Halloween. 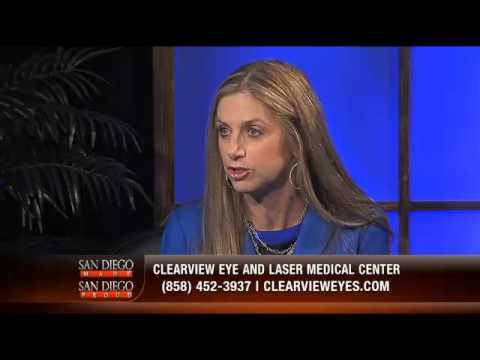 June 11th 2014 - Dr. Feldman of Clearview Eye & Laser Medical Center in San Diego discusses the LASIK procedure, the technology, financing and other important insights about LASIK. Dr. Sandy T. Feldman joined the ehealth radio network to discuss cataracts. Listen to the podcast show on ehealth. Dr. Sandy T. Feldman speaks cataracts and what you need to know before having surgery. Apr 30th 2014 - Dr. Sandy T. Feldman Talks about LASIK and the things you should know before having the procedure. Feb 14th 2014 - Sandy T. Feldman of Clearview Eye & Laser Medical Center in San Diego discusses eye infections and LASIK for sports performance. 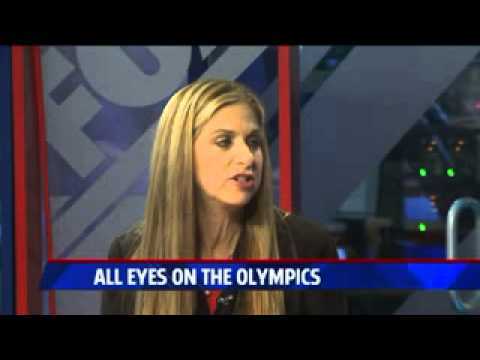 Feb 6th 2014 - Dr. Sandy T Feldman talks about the LASIK procedure on San Diego's KUSI TV. 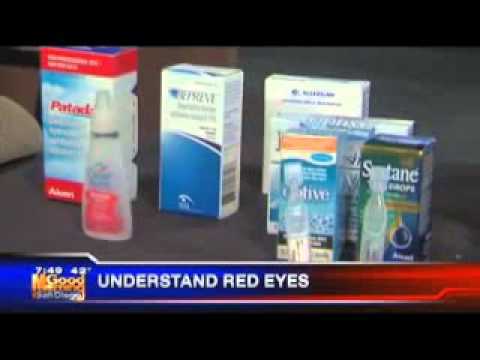 Sandy T. Feldman was on Fox 5 San Diego with some tips and information for safely wearing contact lenses this halloween. Vision problems in kids are important. 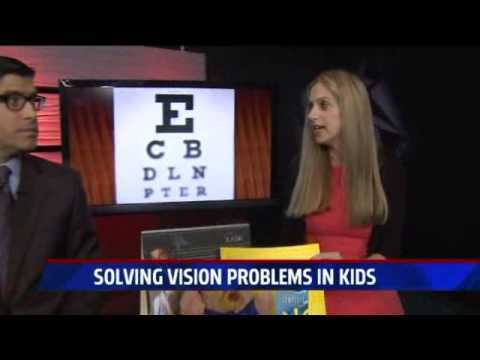 See Dr. Feldman on FOX 5 San Diego discussing how to solve vision problems in kids so they can advance faster in school. 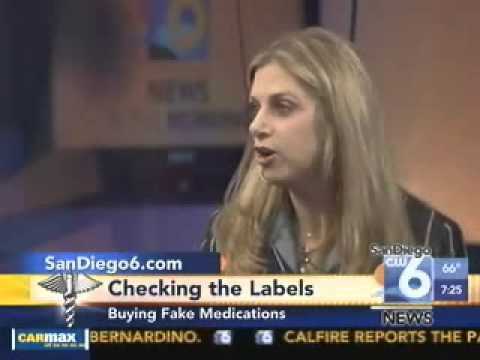 Dr. Sandy T. Feldman on FOX 5 San Diego discussing migraines, symptoms, how they affect vision, and how to avoid them. 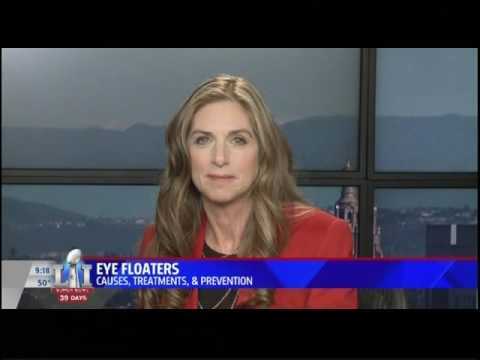 Dr. Sandy T. Feldman of the Clearview Eye and Laser Medical Center in San Diego was featured on KUSI TV San Diego discussing eyelash extensions tips and safety. Dr. Feldman speaks out on the growing problem of Computer Vision Syndrome (CVS). CVS is a devastating effect that results from spending hours staring at a computer screen. Dr. Feldman considers this problem, which 1 in 6 of her patients suffer from, a public emergency. In timely response to this year's Women's Eye Health Month, Dr. Sandy T. Feldman raises awareness for vision problems affecting women and the importance that women take measures to prevent occular disease and injury. Dec 2012 - Dr. Sandy T. Feldman on FOX 5 San Diego discusses the popular e-reader types and which are best for your eyes. Dr. Sandy T. Feldman busts myths and provides tips to keep your eyes healthy through the summer sun. Apr 25 2012 - Dr. Sandy T. Feldman of ClearView Eye & Laser Medical Center provides some great nutritional information and practical tips to maintain healthy eyes for life. Aired on FOX 5 in San Diego. 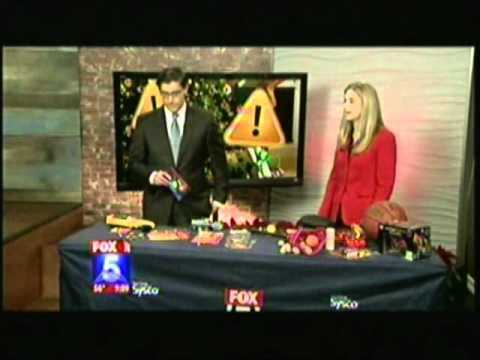 Dec 2011 - Dr. Sandy T. Feldman appeared on KSWB morning news to discuss toy safety this holiday season. 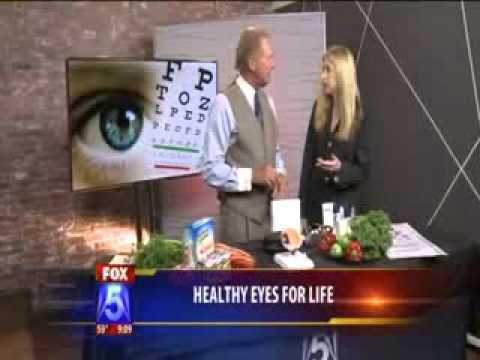 Fox5 TV News Story with Dr. Feldman about healthy tips for protecting your eyes from the summer sun. Dr. Sandy T. Feldman quoted on eye healthcare in Costco Magazine of July 2010. Dr. Feldman discussing counterfit medications and contact lenses on CW6, Good Morning Show. 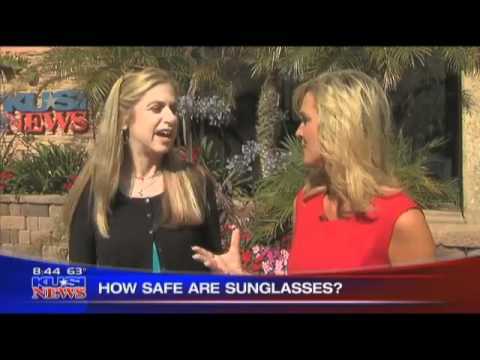 Dr. Sandy T. Feldman visited KUSI TV in San Diego to discuss the importance of healthy eyes. Dr. Feldman shares some great tips for keeping your eyes healthy in 2013 and beyond. 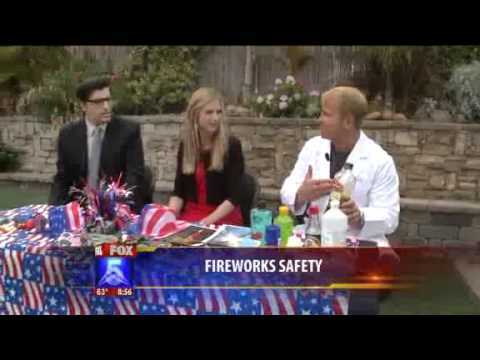 Dr. Sandy T. Feldman on FOX 5 San Diego provides information and tips to help keeps you and your eyes safe from fireworks on 4th of July. Dr. Sandy T. Feldman explains how the sun's UV rays damage your eyes, the times of day when the rays are most damaging to your eyes, and how to protect your eyes by using high-quality UV-blocking sunglasses. 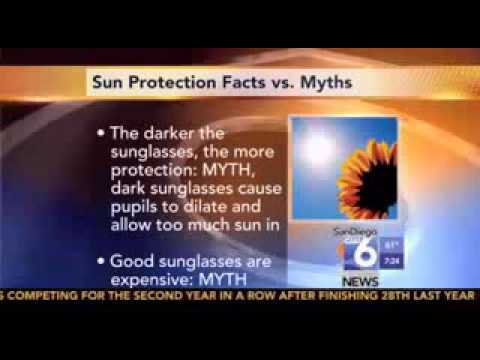 Dr. Sandy T. Feldman on KUSI explains how to select sunglasses that will provide your eyes with the sun protection that they really need. Dr. Sandy T. Feldman Quoted in an Article on Mommy Factor blog about Healthy Eye Sight for Kids Critical To Ongoing Learning. (PDF) Dr. Sandy T Feldman chosen as one of Newsweek's 15 Leaders in Laser Eye Surgery. ClearView Eye and Laser Medical Center Honors Our Heroes. Is What You're Seeing Real? Or an Optical Illusion? Sep 2018 - More than 45 million Americans wear contacts, many of which are made to be disposable. Sep 2018 - Despite what the latest round of alarmist headlines may say, blue light from electronic screens will not make you go blind. Aug 2018 - Your everyday habits could be causing long-term damage to your eyes, without your even being aware of it. If you're like most people, you already know ultraviolet (UV) radiation can cause skin cancer and pre-mature aging. But did you know it can seriously damage your eyes, too? July 2018 - Too much sunshine can be bad for your eyes, yet not enough might make you more nearsighted. How's that for a health and well-being Catch 22? School is out for the summer, but that doesn't mean kids (and grown-ups) can't learn something new each day. July 2018 - The U.S. Food and Drug Administration (FDA) has just approved a new over-the-counter eye drop that significantly reduces eye redness. July 2018 - Feeling sleepy? You're not alone. A new Centers for Disease Control and Prevention study finds that more than 40 million American workers get fewer than six hours of sleep per night. Every year, about 10,000 people are rushed to the emergency department for fireworks injuries. Even for those who take all the right precautions, a split second of poor judgement can cost them their vision and sometimes even their life. Can You "Cheat" Your Way to Better Vision? Feb 02 2018 - Many new products and eye exercise regimes promise to improve your nearsightedness. But do they deliver? Jan 15 2018 - Make sure you can see what you're visiting. Jan 12 2018 - Find out if your genetics or lifestyle puts you more at risk than others. Is Eating Carrots Really Good for Your Eyes? Will Sitting too Close to the TV Ruin Them? Jan 10 2018 - When it comes to your vision, it's important to know fact from fiction. Oct 23 2017 - Should you be worried about too much exposure? Oct 12 2017 - Dr. Sandy T. Feldman provides tips on protecting your eyes from the dangers of natural disasters. Is sunshine the secret to better vision? Mar 23 2017 - Dr. Sandy T. Feldman offers tips for reducing eye allergies in springtime. Aug 28 2016 - Accidents in the workplace cause more eye injuries than you might think, especially in certain fields such as construction. Jul 22 2016 - The U.S. Food and Drug Administration (FDA) has given a long-awaited thumbs up to a new intraocular lens (IOL) for the treatment of cataracts. Pricey Shades vs. Cheap Sunglasses: Does Expensive Equal Better? Jul 11 2016 - An eye doctor's advice on the best protection from harmful UV rays. Can driving a car increase your risk of cataracts? Jul 11 2016 - New study analyzes car side windows and UV damage to skin and eyes. "La Vie en Rose": The solution for migraine sufferers? Jan 21st 2016 - How to whittle your waistline, boost your overall health, and ward off eye disease, all at the same time? Nov 10th 2015 - Did you know that a routine eye exam can be extraordinarily useful for detecting significant medical issues in their earliest stages?. 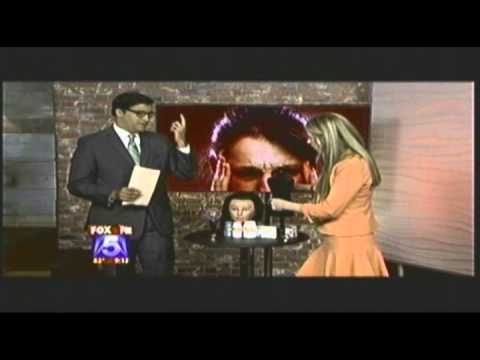 Oct 20th 2015 - Dr. Feldman offers safety tips for decorative contacts, face masks and special makeup. Oct 12th 2015 - Dr. Feldman's advice for healthy eyes and clear vision from mid-life and beyond. Sep 24th 2015 - A recent report by the Centers for Disease Control and Prevention (CDC) reveals that 99 percent of contact lens wearers have succumbed at some point to the temptation of sub-par hygiene and care. Dr. Feldman was also featured in the San Diego Union Tribune about this topic. Sep 18th 2015 - Overabundance of eye-care products can cause "option paralysis" among consumers. Dr. Sandy T. Feldman ffers some tips for navigating today's ever-expanding selection of drugstore products. Aug 4th 2015 - UV damage has been found to cause skin cancers of the eyelid, including basal cell carcinoma and squamous cell carcinoma, which, according to the website, account for 95 percent of all eyelid cancers. Jul 12th 2015 - When shopping for sunglasses, people tend to focus more on appearance rather than UV protection. But it's possible to find sunglasses that look great and protect the eyes from sun damage. Jul 7th 2015 -Injuries to the eye can come from blunt objects such as a ball or a fist, sharp objects such as sticks or a splash from chemicals such as pool cleaners. Jul 1st 2015 - Every year on the fourth of July, there is an average of more than 9,000 injuries in the U.S. caused by fireworks. Jun 16h 2015 - As the U.S. population steadily grows older, more and more people are opting to "have a little work done" to preserve their youthful appearance as long as possible. Jun 4th 2015 - Popular toy firearms can cause serious and even permanent vision damage. Do herbal supplements help or hurt your vision? Apr 29th 2015 - Eye doctors and other health experts caution "buyer beware". Apr 6th 2015 - Tips for keeping your pollen allergies at bay this Spring. Mar 24th 2015 - Dr. Sandy T. Feldman was featured on UT San Diego about how red meat could contribute to cataracts and other eye health topics. Feb 24th 2015 - Dr. Sandy T. Feldman helps explain the health issues that may arise from spending too much time in front of screens, which applies to computers, tablets and mobile devices. Jan 2015 - While many people have heard of color blindness, what may be less commonly known is that, according to eye doctors, it's a misnomer. Tips to prevent glaucoma - the "sneak thief of sight"
Dec 18 - Eyes on the New Year - Healthful Foods Vitamins & Habits for Optimal Vision. Dec 17 2014 - Regular eye exams can detect vision problems as well as diabetes, high blood pressure, high cholesterol, and other serious health issues. Dec 16 2014 - Sloppy contact-lens care leads to hundreds of thousands of eye infections annually, and those infections can result in permanent scarring of the cornea and permanently decreased vision. Dec 11 2014 - San Diego's top eye doctor Dr. Sandy T. Feldman offers tips for selecting safe holiday toys. Nov 06 2014 - Approximately 3.6 million Americans over the age of 40 suffer from diabetic eye disease, which is recognized as the leading cause of vision loss among working-age adults. Sep 30 2014 - Studies have shown that drinking red wine can have a positive effect on one's vision by helping to prevent eyesight from deteriorating. Aug 15 2014 - An expert in computer-guided laser cataract surgery, Dr. Sandy T. Feldman provides recommendations to treat cataracts. July 27 2014 - Dr. Sandy T. Feldman Encourages Patients to Take Their Vitamins for Good Eye Health. July 18 2014 - With summer in full swing, individuals with light-colored eyes should take extra precautions if they want to avoid any unnecessary damage to their eyes during this time of year. April 08 2014 - According to a recent study conducted by the AAO, it was determined that individuals who undergo cataract surgery to correct their vision have a lower mortality rate of 40 percent than those who suffer from a vision disorder and do not undergo surgery. April 01 2014 - Sandy T. Feldman was featured in a UT San Diego article regarding the importance of eye exams at all stages of life. March 25 2014 - With the advent of spring comes wind and allergy season, which can prove to be challenging for individuals who rely on contact lenses for clearer vision. What seniors should know about preventing and treating glaucoma, cataracts and macular degeneration. Dec 10th 2013 -- Dr. Sandy Feldman Offers Tips to Protect Eyes from Overstimulation During the Holidays and Beyond. According to the National Institutes of Health, diabetes is the leading cause of blindness among adults in the United States. As a surgeon, Dr. Sandy T. Feldman said patients often have no words to describe their reaction after having laser eye surgery to correct their vision. In a recent study released in JAMA Ophthalmology, it was confirmed that statins, which are typically prescribed to reduce cholesterol and also prevent heart disease, may cause an increased risk for cataracts among individuals ages 30 through 85. While women have long been enhancing their eyelashes since the days before Cleopatra, this practice has grown in popularity in recent years, with singers such as Adele, Rihanna, and Katy Perry sporting longer lashes to enhance their appearance. With the July 4th celebration right around the corner, thousands of people will be handling or viewing fireworks to commemorate our nation's independence. While so many participate in this national pastime, very few are aware of the dangers and risk of eye injury caused by fireworks. The month of May is designated as Healthy Vision Month in hopes of educating everyone about early diagnosis, and treatment relating to all vision related issues. Nearly 20.5 million Americans age 40 and over suffer from the debilitating effects of cataracts, which cause a clouding of the eye lens and results in blurry vision. Clearview Eye & Laser Medical Center announces the arrival of the world's most sophisticated laser cataract surgery system in Southern CA. The holidays should be a time for joy and celebration but too often families end up spending time in the emergency room or urgent care with eye injuries. This year, the US Customs and Border has blocked 2,000,000 toys from entering in the U.S. About 11,000 toy related eye injuries occur each year and 13 deaths occurred in 2011 from toys. Most of these, are in children younger than the age of 15. Read Dr. Sandy T. Feldman's GalTime article with tips on maintaining healthy eyes throughout your life. It's that time of year when many teens and adults are beginning their search for the perfect Halloween costume and are now looking to complement their attire with nonprescription decorative contact lenses. "These lenses are becoming increasingly popular and should not just be viewed as a fashion accessory" said Dr. Sandy T. Feldman of Clearview Eye & Laser Medical Center. TODAY'S DOCTORS CONTINUING TO SEE A RISE WITH PATIENTS PURCHASING NON-REPUTABLE MEDICINES UNBEKNOWNST TO THEM. Consumers are turning to alternative sources to buy their medications. These sources include the internet and/or pharmacies that are compounding medicines. Unfortunately, the consumer has little knowledge about all the hazards to one's health with these alternatives. "Eye exams should begin in the preschool years as parents and children may not be aware they are having any difficulty", says Dr. Sandy T. Feldman of ClearView Eye & Laser Medical Center, a leading San Diego Lasik and eye surgery practice. May is Healthy Vision Month and according to an NEI survey, vision is the one sense that people fear the most of losing. Ironically, one's eyesight is also often taken for granted. Read tips by Dr. Sandy T. Feldman to maintain healthy vision. Dr. Sandy T. Feldman of ClearView Eye & Laser Medical Center stresses that that the only way to prevent a sports-related eye injury is to always wear the appropriate protective eyewear that is properly fitted by your local eye doctor. MD offers safety tips for parents when choosing holiday gifts Dr. Sandy T. Feldman of Clearview Eye & Laser Medical Center provides advice to parents shopping for toys. Kids Healthy Eye Sight Critical To Ongoing Learning San Diego, CA , August 2011- Summer is over and children are heading back to school, with important eye exams needing to take place for kids. (SAN DIEGO, CA) August 2011 - A staggering number of people in the United States are struggling with their weight. ClearView Eye and Laser Medical Center provides LASIK vision correction procedures in the San Diego, California area. We offer this web page as general information. This information should not be considered formal medical advice. Please contact us today for formal advice during a complimentary consultation in San Diego.